It's been suggested enough times that the [NA] IC Rumor Mill might need to be divided between the factions, I happen to agree so I decided to go through with it for the Aldmeri Dominion. Generally I think "go for it" is the best approach with these kinds of things, but I'll understand if there are people who don't agree with the divide. I've added all of the previous AD rumors from 2015 here in this OP, continue posting here as normal (if you want to). And a final thank you to Zana for bringing the idea of a rumor mill to TESO-RP! Yesterday, the Thalmor Inquest departed from Woodhearth in the direction of Marbruk. Rumour has it that they make for the Bandaari Trading Post. In other news, the road between Woodhearth and Marbruk is alleged to be rife with banditry, especially where it meets Shadows Crawl. The Lord Archon, Preceptor and company (consisting of Yuna Tamelaw, Adalrod Aeleran, Kaetlyn Faer'veren, Pyrreaya-Veylybel and Merem Vilverin) left Marbruk for the Bandaari Trade Post. Though the road is clear for the majority, one particular incident saw the Inquest ambushed by a necromantic crone, who ambushed them with a skeletal, zombie, and risen spirit host. They were summarily executed, and the Inquest moved on to the Trade Post. Further investigation into the matter is advised. Upon arriving at the Trade Post, the Inquest were greeted warmly until their affiliations were mentioned - one must wonder what hidden devilry would give them cause to cower from one of the more righteous and just investigation bureaus. Diplomacy ensued and intent was established by the Lord Archon and his assistant while Aeleran was tended to by the local physician. The others, worn by their journey and previous battle, took to rest. Likely as a peasant's attempt at disrespect, or a bid to see the Inquest lose some nerve, the collective at Bandaari were offered the sanctuary of the local "companion" house. Undeterred by the petty gesture, the Lord Archon accepted the space graciously. The beds are clean; the rooms are comfortable and private; and the luscious scents of Khajiiti exoticism fill the air. Before departing from the safety and civility of Marbruk, Kaetlyn Faer'veren was tasked as the assistant of the Lord Archon. She was ordered to place the scrolls collected from a cultist, that have yet to be decyphered, within the vaults of Marbruk, hidden within the Mages Guild. Security is at maximum level ever since an incident where dangerous traitors stole a precious, ancient, powerful staff with mystical ties to the Aedra. The scrolls are locked away in an enchanted chest, of to which only the Lord Archon Sarinteal Ralleidril, Preceptor Kuri-Do and the assistant of the Lord Archon, Kaetlyn Faer'veren, have permission to access. Outsiders and scholars are still welcome to look upon the scrolls, but they must be accompanied by one of the aforementioned persons. Any attempts to take the scrolls will be met with a severe punishment. OOC: For those who still wish to decipher the pages IC once we have returned to Greenshade I will make myself available for the people who have a desire to roleplay out this storyline. Please note that they are supposed to very difficult to decipher as the daedric alphabet is not commonly known to the uneducated, and to extend the roleplay to as many as possible only a few of the words will be permitted to one scholar each. There have been more than half a dozen reports of strange attacks between Marbruk and Redfur Trading Post, even going as far as Bramblebreach. The bosmer whisper "Moravar." amongst themselves, some quaking in fear, others packing their belongings and leaving for Woodhearth or Elden Root. Still, some few appear to be pleased with the disappearances and have even been quoted as saying "Serves them right, the grasseaters." and "The Dominion brought this on themselves." No connection has yet been made between the missing and an adherence to The Green Pact, and it's suspected that despite some rumors, there is none. Altmer authorities are still trying to determine the origin of these attacks and their connection to the locals, a number of bosmer have been detained as suspects. The ayleidoon word has been translated roughly to "wood mouth", and appears to be attributed to some form of monster detailed in some of the local mythologies, still for all The Dominion knows it is simply a ruse by the crafty and occasionally territorial wood elves. "Khajiit has rarely seen anything so weird. So, get this, a big Orc was walking through town - and this one means big: he was bigger than a house... Well, maybe a little smaller than a house. But he walks through town, right, with a corpse under his arm, and the corpse has some cloth or other over its face - you know, a bit odd, but not anyone's business, right? This one thought nothing of it and was going to go back to his goings-on, when these wood elves, they completely lose their mind! ... Well, they got really nervous, at least. One of them was screaming something... "Morever", or something like that. "Morevar", maybe. You'd think the wood elves of all people have seen a dead body before, but they acted very strange, this one thinks. But, it's none of Khajiit's business, of course." A break-in has been reported at the Blade and Song, a small weapon and armor shop in Woodhearth. Authorities note that a small amount of gold was taken, both from the lock box in the shop, as well as a small office apartment above. The resident, a Bosmer by the name of Norond, stormed off before being questioned fully by the guards,and was overheard muttering something about a map. Members from the various pilins and cus within The Noore (also known to some as the Clan of the Eternal Oak) were seen in Cormount, many fresh from battle in Cyrodiil. As The Bramblescar Clan returned from Greenshade to host a Story Circle with the locals, one heroic bosmeri soldier shared her own tale of battle and hardship against The Ebonheart Pact. The story, so vividly described, gripped all who were present, leading some to suspect that she may hold the spinner's gift of turning words to realities. The greenspeaker of the Bramblescars ended the Story Circle with a haunting myth about the moravar, going on to solemnly explain that they are no longer a thing of myth. All were warned to keep an eye out for the terrible creatures, to not stray far without company, and were given some instruction on how best to fight the horrific abominations should they be encountered. 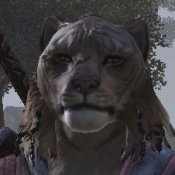 A large, muscular-looking khajiit wearing a Thalmor uniform was seen taking a merchant at Baandari Trading Post to one side today – and away from prying eyes. The merchant, reputed to specialise in the buying and selling of magical goods and curiosities, returned with a swollen face, bearing a broken nose and the makings of a black eye. It is rumoured that he has sold something that the Thalmor - and indeed the Sugar Claws Clan - are keen to track down and see returned. "Auri-El, grant me patience. These Woodhearth Bosmer are maddening! I've been in this unsightly, horribly planned city for three days trying to meet with their Treethane. Does she not know I'm the third niece of the former Canonreeve of Greenwater's sister's cousin? The effrontery is almost too much to bear. Apparently, and might I say true to form, the Treethane is suffering from bouts of dementia. On Middas she spent half the day hanging inverted from a nightwood tree and babbling in a gurgling, incomprehensible language. On Turdas she was unavailable due to a sudden interest in writing daedric runes along the walls of her office in her own blood. And on Fredas she began hiding around the city, shrieking and fleeing whenever discovered. Perhaps the Bosmer find these puerile games amusing but I certainly do not. I - do - not! Clearly the Bosmer need to spend more time tending their forest as I've seen unseasonal falling leaves now and then. In fact, the leaves were so sickly they looked like tattered pages of parchment strewn about. Such squalor is absolutely unacceptable in a Dominion city. How I long to return to my beloved Alinor, shining beacon of all things good and right in Tamriel." A pair of belligerent Bosmer were seen around Vulkhel Guard recently, spouting off insults towards the non-Bosmer around them and even being removed from the Salted Wings Tavern after the female Bosmer assaulted an Altmer cook preparing a number of vegetables. They escaped custody late last night and authorities are offering a small reward for information leading to their capture. Bosmeri tribes, in the region of Greenshade, are becoming restless. Tales of mysterious parchments and madness plaguing Woodhearth has many inferring omens. Some say Jephre has lost his voice and is crying for help. Some say Jephre is angered by so many transgressions against the pact. Some say Jephre has gone mad herself and seeks to set the story back on track. Whatever fanciful opinion the mer have developed they all tend to blame the presence of Pellani as the root cause. Word in the Halls of Elden Root, has it that agents are being dispatched to the region. Supposedly they are tasked to investigate the phenomenon and to ensure nothing escalates due to any misunderstandings. A jail break happened early today in Vulkhel Guard. Two Bosmer assaulted the guard tower and a battle in the depths of the prison ensued. No word from the authorities on the result of the altercation ,or if any prisoners escaped, but by the end of it three guards were confirmed dead. Further news on the tragedy is still forthcoming. Reportedly there were few prisoners who had successfully managed to escape from the watchtower cells. Guardsmer and officials are trying not to incite panic throughout Auridon - and the Dominion lands - by refusing to reveal the identities of those who now are on the loose. However, whispers have it that it was one of the treasonous Heritants, captured during the raid on the Veiled Manse months ago by the Thalmor Inquest, who was among the escapees. His whereabouts are unknown and his accomplices also, but now there is frightened talk of a revival of the Veiled Legacy seeking revenge. Citizens are advised not to approach any large Altmer of military bearing, and a distinctive scar on his face over his nose down to his cheek, and another scar over his eyebrow, with silvery-white hair and pale eyes. Instead, they are to report to the local authority at once, even if they are uncertain they are correct in their suspicions. A substantial reward will be given to those who offer correct information, and punishment will be severe for those who harbour the criminal. A massive cathay-raht, actually small for his breed, with orange fur and black stripes has been seen circling the Woodhearth tree-tavern. He bears the symbol of the Bramblescar Clan, recognized by some of the locals as a fledgling mercenary group with other somewhat political and cultural motivations. When approached by a guard he became aggressive, snarling and shoving the armored altmer before continuing his self-appointed patrol. 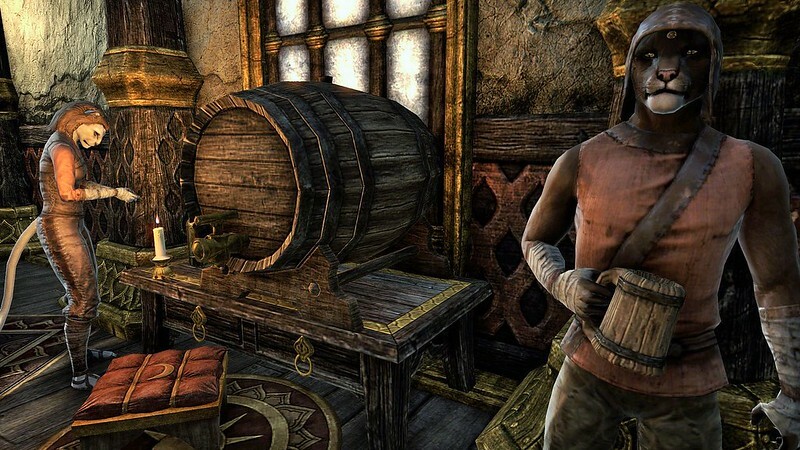 A bosmer merchant had more luck getting the khajiit to speak and learned that the moravar have returned to the area. An altmer in Woodhearth's Thalmor Headquarters noticed a band of six wood elves venture off into the hills to the north where a small and relatively non-aggressive wood orc community was said to live. Thinking it was nothing to concern herself with, she thought better of reporting it to a superior. Multiple cases of Blood Lung have been popping up in Woodhearth among non-bosmer. It's not clear whether it was introduced to the population before or after Loredas, but some merchants recall a staff carrying bosmer buying out much of the herbs and other ingredients used in curing the disease, before anyone began to show clear symptoms. A Thalmor patrol scanning the perimeter of Dawnbreak discovered Lattasel Guildhall in a state of deep neglect, having apparently suffered a fire. Sunlight streamed through the partially collapsed roof and walls as they toured the ruins. "A strange irony," remarked an Ayleid scholar among them. "Now it is a 'Hall of Light' indeed." Though the structure appeared abandoned locals spoke of a Breton living amid the rubble. A gathering of elderly bosmer in Woodhearth who had never before stepped foot in the paved and pristine altmer district were seen making their way to the Thalmor Headquarters together. Apparently many of them have lost family to the moravar, and were unhappy with the Thalmor's response to the situation. They spoke with Treethane Fariel, and called for a return of The Woodwarding, an ancient bosmeri tradition of gathering the community together and patrolling the borders of their homes. The ritualistic gathering involves prayers, chants, waving weapons at shadows and yelling out into the darkness. Most bring weapons, but some bring drums and other instruments, jagga, incense or animal blood to paint trees and stones with. The first of these Woodwardings will occur on the next Middas. “The eye of Y’ffre is like a full moon in the branches of a mighty graht-oak. Wherever one goes in the forest his gaze is felt. But the eye of Herma-Mora is as bubbles on the tide of a stream, opening for only a breath to observe those who would cast secrets into the water. What happens when these two look upon each other? The spinner douses the light of his lantern, dropping the faces of the gathered Bosmer into shadow. "Fire! Fire! In Phaer! Send help, quickly!" The frantic cries of an Altmer were heard in nearby Vulkhel Guard, which immediately assembled an impromptu team to put put the fire out. Approaching the pillar of smoke, the fire was curiously contained to one large manor, which, sadly, burned down. The cause of the fire was quickly identified to be kindlepitch, and the fire appeared to have originated on the roof, indicating that the fire was almost certainly set deliberately. Disturbingly, at the exact same time the fire was reported, eyewitnesses report a portal opening in the Woodhearth docks. Stepping forward were three figures in robes, and one in combat gear. They immediately converged on and attacked a man reported to be laughing maniacally, and screaming at nobody in particular. As the crowd ran to fetch the guard, only one brave Khajiit man stayed behind. 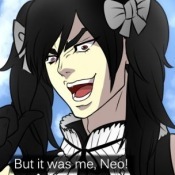 "I-It was terrifying! T-This one saw his life flash before his eyes!" he reportedly told the guard when they appeared. "T-The one in the fancy robes summoned Daedra, and pulled the crazy, laughing one into the portal with him!" The magicka could still be felt in the air, but the figures - and the Daedra - were gone before the guards could reach the scene of the chaos. No injuries were reported, and no property was damaged. The two incidents are not currently believed to be connected, and the Thalmor could not be reached for comment. “Oh no, miss! This one only looks, she does not touch. Khajiit was merely curious about Ilmyris and went to see if the rumors were true. There was a portal in the ruined city, but no longer. It closed as khajiit watched. Mer in dirty robes were most upset. They kept complaining about disappearing pages but this one saw plenty of books. Stranger and stranger things seem to be happening around Greenshade, and Woodhearth in particular. First there were the rumors of moravar, nightmarish creatures of bosmeri myth. Still more reports come in from throughout Valenwood of disappearances and feral mer with roots and blood dripping from their broken jaws. Then the stray pages blowing in on the winds followed by a peak of mental instability among many. Soon the moravar became more than rumor. Many citizens witnessed a wood orc named Krolg carrying the root-mouthed corpse of one toward the Mage's Guild, following Isheriil, an accountant and librarian at the Guild. The moravar was offered to the Guild for study and as proof to the Thalmor that the disappearances were not related to bosmeri treachery, but terrible magic. Next the outbreak of Blood Lung, affecting over a dozen non-bosmeri inhabitants of Woodhearth. The disease has slowed but many still cough blood in the streets. Most recently a greenspeaker, marked by the floating verdant orbs around him, has taken up temporary residence in the Mage's Guild, some saw him sleeping in a corner of the room, soon joined by a gruff and entirely out of place wood orc, rumored to be his Clanchief. 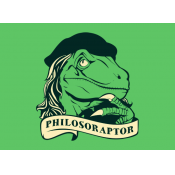 He'd scrawled down a poem, apparently instructions he and his allies had gathered for the use of the stone tablet they now held, keeping one copy close to his chest while leaving another for others to study on the table with the tablet. Apparently the tablet, of ayleid script and design, had been found in Apocrypha, the realm of Hermaeus Mora, a daedric prince. They had discovered that it held on it an unfinished rite of reversal, for the same ritual that created the moravar in the time of the ayleids. Many Mages Guilds throughout Valenwood have begun purchasing grown moravar from those who slay them. Grim as it may seem, you must slice the belly of seeded victims and pull the mass of plant-material out followed by the roots. In Woodhearth some mercenaries are making about fifty gold for each moravar at the Mage's Guild. It seems the collective sorcerers are performing countless experiments with sap from the creatures, attempting to find some form of cure. If interested in moravar hunting, acquiring some gold or testing your magical aptitude, adventurers are encouraged to seek out opportunities at the Guilds, particularly the one in Woodhearth. A small group of Lumber Kajiit took to clear cutting trees along the disputed border of Valenwood. This caused ire within the local tribes that demanded they desist. Their refusal to do so created a roar that was heard all the way back to Elden Root. One recent morning, at silatam, a hail of arrows rained down upon their camp, causing most to scatter and flee. Those that remained were pinned to their spot with the next volley. Vinedusk Rangers, first upon the scene, made it apparent that they were not Dakarn, though they died as such. Whispers in the halls of Elden Root are that the Kajiit were agent provocateurs. Their allegiance is unknown, though most assuredly attempting to tear at the Dominion alliance. Confidence is still high, that the Mane would not permit such a transgression against Valenwood. Ask any of the local Bosmeri about the Kajiit. They will be happy to tell how their hides were left hung up and hanging out to dry, upon the stumps of the very trees they desecrated. A tall, hulking khajiit swaggered into the Skywatch Mage's Guild yesterday. Unarmed, though heavily armoured and donning the Thalmor colours of black and gold, his intimidating presence immediately drew attention. Clad in steel and bearing the eagle crest on his breastplate, the betmer gave his name as Kuri-Do of the Merethic Eye. Apparently, the Thalmor wish to broker a contract with the Mage's Guild for the application of portal magics. Needless to say, word has quickly spread throughout Dominion Territories of the khajiit and his message. 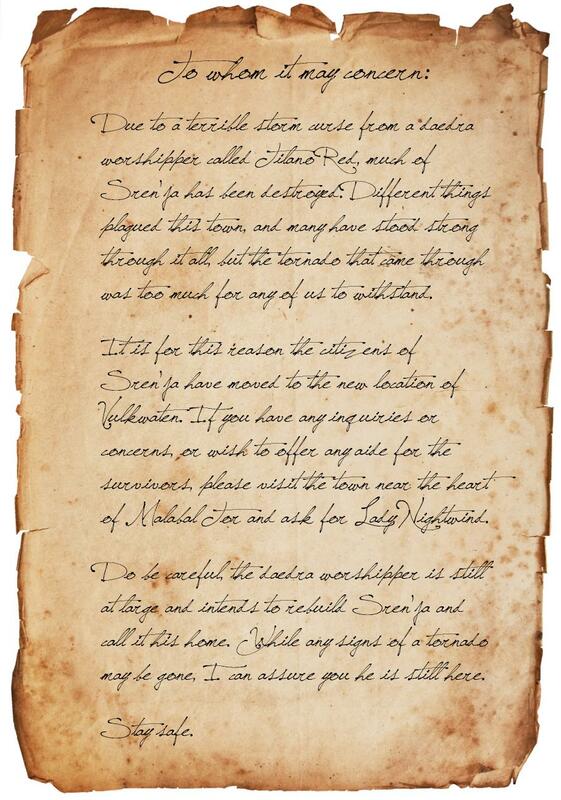 Anyone interested in fulfilling such a contract should report to the College of Aldmeri Propriety in Auridon. A bosmer greenspeaker and breton sorcerer made their way through Elden Root to the Mage's Guild, the entire time talking about rituals, incantations and ayleid history. The greenspeaker's bruised arms still bled from small but jagged wounds, and though they'd both attempted to wash themselves clean, blood and moravar sap still clung to their clothes in places. More remarkable than their passing was the brilliantly glowing varla stone at the breton's side, shining as if powered by a dozen night skies. Together they stepped through a portal back to Woodhearth. Several tribal Bosmeri entered into Woodhearth and sought council with the Treethane. They protested against the selling of their fallen kin to the magicka pellani. They have demanded the return of their family and friends, that they may be given proper burial rights. After a days reflection, Treethane Fariel, supposedly has agreed that the Bosmeri souls and bodies are possessions of the Green. She has decreed the open selling of Bosmeri corpses within Woodhearth, to the Mages Guild or any other to be morbid and criminal. She has sent a plea to the Mages Guild to release all the bodies of Bosmeri in their possession to those who come to claim them. 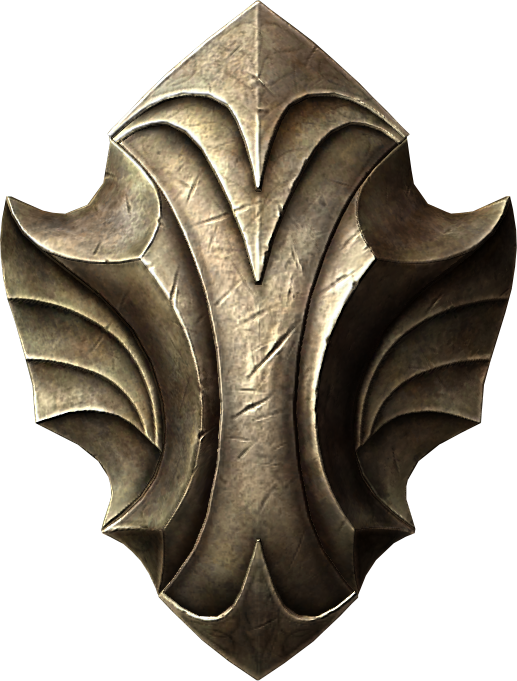 Other sentient races, with similar demands, are being directed to address their case with the Thalmor. Noted by many was the fact that most moravar sold to the Mage's Guild were removed from the host bodies. However not every mercenary had the patience to extract them, some bodies had been taken straight to the Guild as they were, wretched and broken versions of themselves. 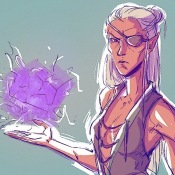 Other bodies, with slit bellies and a noticeable lack of roots, had been brought back and were destined for the fires, as a culturally sensitive Mage made certain to explain that eating anything of daedric corruption could be dangerous. However, after apparent pressure from the Treethane and elaboration on bosmeri burial customs, the Guild has released all unseeded bosmer corpses under the belief that they will be taken straight to The Bone Orchard in Grahtwood. Similar concessions will likely be made for the other races as well. A small group of Kajiiti war profiteers have been seen in a number of taverns and camps around Tamriel. They have been recounting, to anyone who listens and supplies drinks, about their encounter with a werevulture. The event took place as they circumvented Cyrodiil through Reapers March departing from Elsweyr. The monster was tearing at the back of a half dead horse, which both came screeching through their small caravan. The sight of it all and the horrid cries sent the troupe scattering in all directions. Their stories are all pretty much the same until they tell of the body they found the following day. A human, covered in feathers, half eaten, dried and withered as if the life had been drained from him. 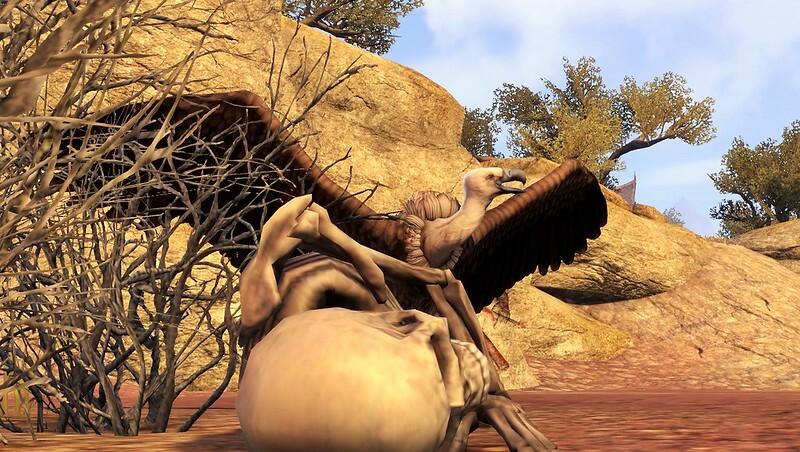 Some of them say it was a dead werevulture, while others believe it to be one of their victims. Lack of knowledge for the monsters had one speculating that it might rise from the dead. They all agreed unanimously, in the best interest of all, to burn the corpse. "This one is too much the cheekin to be the buzzurd." n the later afternoon, yesterday, the gates of the Bandaari Trade Post were seen to open for a large procession of refugees from Sren'ja, escorted by an indomitable khajiit guard company in near-identical heavy armor, wearing fearsome war-helms and green-gold tabards. They marched north, and then west, leaving several corpses of werewolves in their wake before arriving in Vulkwasten, where the rumors say an execution was held; some people believe that the man was innocent, and others that he was guilty of banditry, but the rumors don't differ on the execution. Now, between Vulkwasten and the Post, a regular patrol route seems to have been established by the Khajiiti Sugar-Claw Clan of Bandaari Trade Post, and their Green-gold Clanguards are now seen traveling to, and manning posts even as far as Greenhill. Rumors say the Clan's leadership are preparing to establish a longer caravan route, but most are unsure as to exactly where. Other rumors suggest that their new Clanmother is of a martial, rather than a spiritual bent, although some argue this is the Clanleader's influence, instead. Whatever the truth, it seems as though at least these few towns are now under their direct protection. A burst of starlight erupted over Rootwater Grove, seen by many throughout Greenshade. A would-be moravar victim ran to Woodhearth, claiming that her attacker simply turned and sprinted toward the magical explosion, leaving her unharmed. Hours after the event, a crowd arrived in Woodhearth from the direction of the explosion before going their separate ways. Rumors have spread that the moravar are no more, that they have joined a new story apart from Y'ffre's and Tamriel's. Some even claim that they were seeded by the moravar only to be released as the "creature" within them planted itself in soil before going limp. A daedra worshipping mage, the terrible Tilano Red, cursed Sren'ja with a supernatural storm. Through floods of mead to explosions of sweet rolls, the town stood strong. However, in the end, Tilano's final gift to the citizens of Sren'ja was the last straw. A tornado tore through the small town, targeting the citizens. Fortunately for us, Tilano's poor spell casting resulted in few injuries but no deaths. Tilano is rebuilding Sren'ja into his place on our plane, as his true home is in Oblivion. Once it is rebuilt, he will be in and out of the town. He tends to get bored easily and may move on, though some artifacts of his may be found in some of the buildings; a comb, a red hood, a mirror, and some loose writings. The citizens of S'renja have moved on to Vulkwasten, under the protection of the Sugar-Claw clan of Bandaari Trade Post. Rumors say, leaving S'renja abandoned. Recently, members of the Thizzrini Merchant Company, owners of the Thizzrini Arena were seen going into the newly opened Ayleid ruin of Fardir's Folly found in the far north east of Reaper's March. The group of nearly ten strong entered the ruins armed to the teeth and emerged some time later carrying a few high quality welkynd stones and sconces of meteoric iron. Word is that local workers have been hired by the Arena to clear out some of the goods left behind by whatever they faced in there. Who knows what lost treasures could be found in such a place? Woodhearth is abuzz today, when a cavalcade of khajiit, in Green-and-gold armor, marched into town coming from Marbruk and promptly cleared the way for several merchants from the Northern Valenwood area to set up shop. Lumber, leathers, and rarer reagents; smithing and clothing materials; food, and even entertainment, with one female orc challenging all comers. One of her fights, with a member of the Sugar-Claw Clan, drew a crowd – the show was near-thespian, at one point even demonstrating the ‘famous’ swing-around piggyback ride choke hold. The orismer was victorious, but some would call it a draw. The market extended well into the evening, with the Sugar-Claw’s own Clan Mother sitting quietly beneath the center tree, watching the event. Locals note the peculiarity, not only with the Clan Mother’s martial garb – this time, she was seen in ornate plate armor – but also on the fact of the sheer number of her guards, all of them caparisoned as though for war. Whatever the case, it seems as though the khajiiti clan has completed their trade route, and will likely be making these trips regularly in the future. 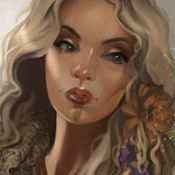 Citizens of the Summerset Isles may have noticed the absence of the well known healer, alchemist and Jewel of Auridon, Kaetlyn Faer'veren, who has not been sighted by anyone for little less than two weeks. Residents, sailors, soldiers and dock workers of Vulkhel Guard may quietly utter among themselves that there had been a Thalmor procession through the streets that stopped at the shared home (one of several) of Sarinteal Ralleidril, Lord Archon of the Thalmor Inquest and Kaetlyn Faer'veren, assistant to the Thalmor Inquest. In the brisk and sharp air of the midnight hour the healer was removed from her residence and taken with her son to the north of Auridon, location unknown. Guardsmer cloaked in Thalmor colours and uniform stand rigidly outside the home in Vulkhel Guard, and the healing sanctuary and apothecary that belongs to the youthful, Altmeri maiden has been cordoned off under investigation. No officials will answer any questions, and after almost two weeks of this well kept mystery, whisperings emerge of a traitorous betrayal. Some even go as so far to softly murmur the words 'Veiled Legacy'. The Lord Archon of the Thalmor Inquest, Sarinteal Ralleidril, has also been markedly absent from public life since this incident. If officials are questioned on his whereabouts, they would inform that the Lord Archon and Kinlord of Solstice, Summerset Isles, was heavily pre-occupied with negotiations on the terms of warrant, arrest and investigation pending to Kaetlyn Faer'veren. He may occasionally be spotted moving from one location of Thalmor locale and business to another, or between the varying houses and establishments owned or shared by Kaetlyn Faer'veren. His expression is cold and his piercing azure glance deadly enough to dissuade even the bravest or reckless of Mer from approaching him. His movements are rigid and graceful as ever, but there is a shadow of weariness on his chiselled, Altmeri features. Any queries for the Thalmor Inquest itself would be promptly directed to the Preceptor of Arms of the Thalmor Inquest, Kuri-Do, until the matter is settled. Khajiit mercenary women looking for work. Jobs of any lawful nature are desired. Contact for details. In a lake in the marshes to the southeast of Woodhearth, a horrible sight was discovered by a local huntress. "Just blood, everywhere - the ground was torn up and there was gobs of white fur just littered everywhere! Still, I did find this pretty cool rope. So I suppose it wasn't that bad." Upon reporting the incident to local authorities, an angry ship's Captain identified the rope as his, stolen earlier in the day. "Whoever took it got blood all over it; I don't even want to know what happened, the damn lines better not be damaged though!" The huntress relinquished her prize to the ship's captain in exchange for a riveting story about an adventure involving two frisky khajiiti women, and all was well.